Did you miss me? Did you even notice I was gone? I spent last week soaking up the sun in Madrid and I did not want to come home. I love Spain and the sunshine so I had a wonderful time taking in the sights. 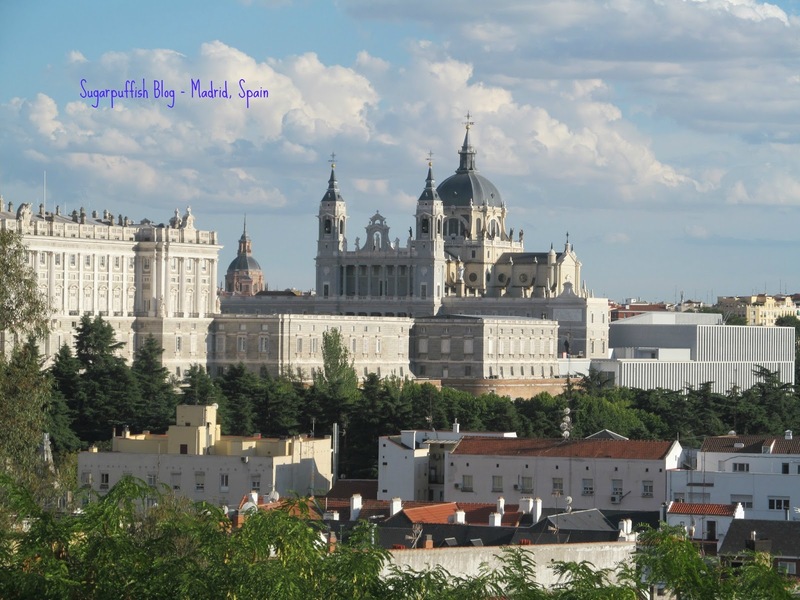 Madrid has a split personality, laid back attitude during the day and a lively party side in the evenings. It’s a typical Spanish city with narrow streets and plazas which I could happily wander around for hours, ducking in and out of the sunshine, sitting in cafes eating Tapas and sipping Sangria. If you seek peace and quiet, head into one of the local parks to escape traffic and shelter from the sun. Who can resist the simple pleasure of sitting on a bench and watching the world go by? Alternatively, a gentle stroll leads to boating lakes, fountains and elegant gardens. Once we found our feet the first stop was the Museo del Prado which houses the oldest and greatest art collection in the world. When we paid for our guide book we were not expecting to be handed a rather large and weighty text book (there is a picture on my instagram). I half expected to sit an exam on exiting the building. The museum is a labyrinth of corridors with master pieces at every turn. You can easily spend a day or two in this museum and still not see it all. If modern and contemporary art is more your thing, then visit the Centro de Arte Reina Sofia and gaze upon several pieces by Picasso (after 7pm entry is free). During our stay we also visited The Royal Palace (Palacio Real). As you would expect, the interior is a flamboyant display of wealth with opulent decorations and furniture. The Palace is only used for ceremonial purposes and the Royal Family reside elsewhere in Madrid. We took a trip on the cable car which takes you from Parque del Oeste over the Manzanares river to a cafe in the middle of Casa de Campo. It was a lovely way to get away from the city and view Madrid from a different angle. The restaurant was reminiscent of those found in a theme park but it was lovely to sit outside and admire the views. If you can muster up the energy, Casa de Campo is a large park with jogging tracks, mountain bike trails, picnic areas and a lake. Another memorable place we came across was Mercado de San Miguel, an indoor market. Housed in an elegant wrought-iron building it was a pleasure to wander around. There were plenty of snacks to tempt your taste buds from oysters, wine, olives, meats, chocolates, pies and much more. 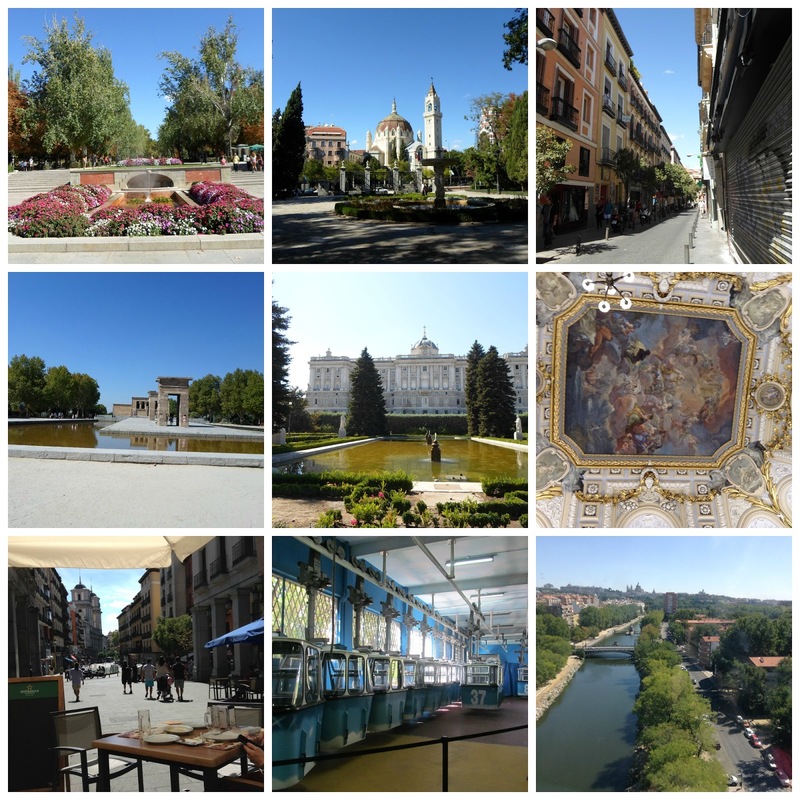 We had a lovely time and Madrid offered something different to Barcelona, Seville and Granada, which I have previously visited. What a lovely trip Sarah! Sounds like you had a fabulous time! Welcome back! Looks absolutely beautiful. I'm a huge fan of Spain, although I've only ever been to Barcelona and some other place bordering Portugal which I can't even remember.